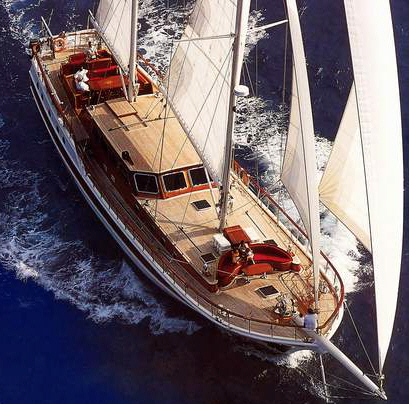 This Danish-flag wooden sailing yacht is the ultimate in naval architecture and appointment. 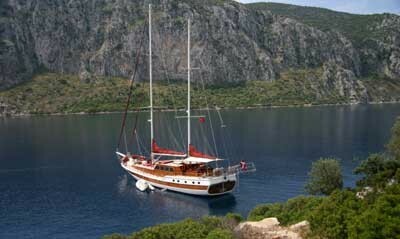 She is sleek and fast and features four comfortably-appointed guest cabins as well as an equal number of crew cabins. Clarissa's colors of white and maroon frame an exquisite mahogany interior. 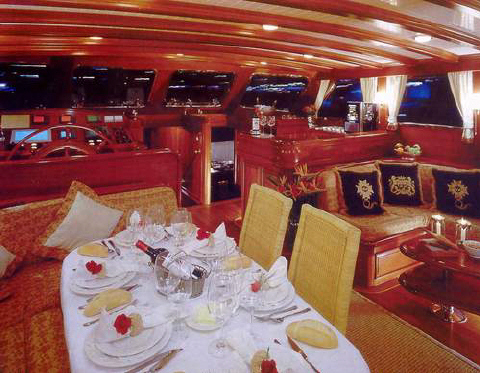 Furnishings are practical and luxurious, permitting ample area for relaxation as well as space for eight guests and five crew to maneuver. 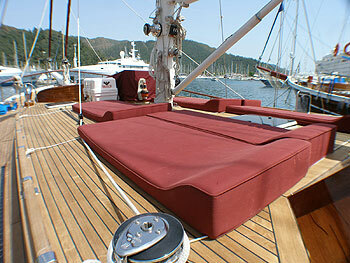 The upper deck is uncluttered teak and incorporates awnings where appropriate. 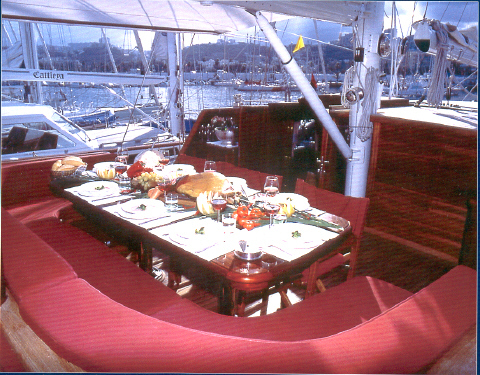 The crew is professional and accomplished, and the galley serves an haute cuisine. each with dressing table. 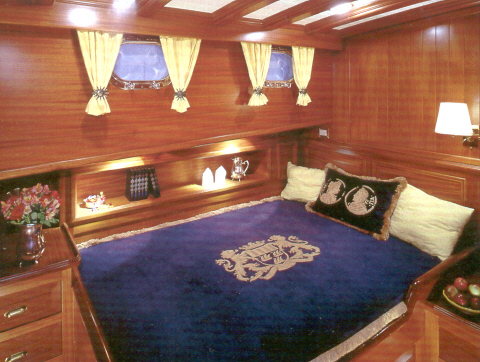 Two cabins have an additional single bunk or settee. All have en-suite bathrooms, one with a bathtub. 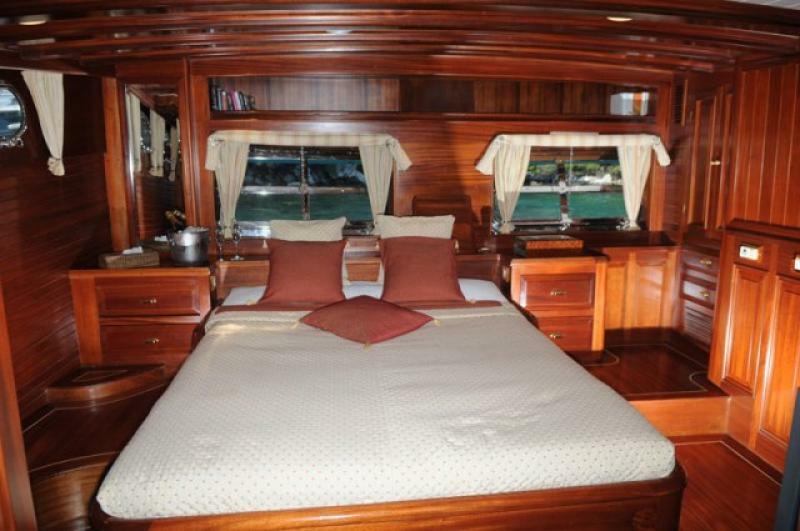 Individual air-conditioning units are fitted in each of the cabins, and all cabins are sound-proofed within thick mahogany walls. 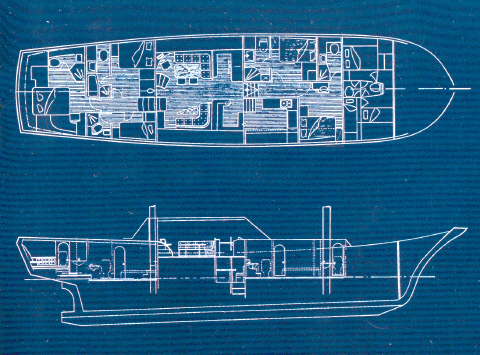 Salon and navigation station open to a stylish quarterdeck. 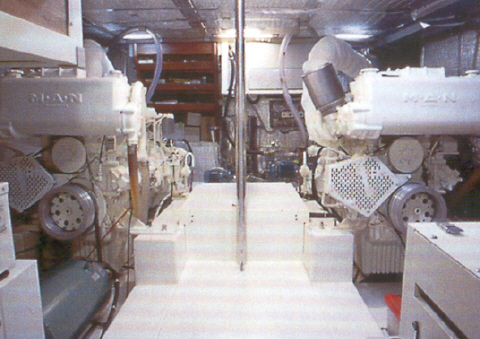 Engines: (2) 308 hp M.A.N.